Last night there was a concert of Scarlatti, Lotti, Melgas, Rebelo and Caldara during the Greenwich Early Music Festival, performed by The Sixteen and conducted by Harry Christophers. Seated in the upper gallery, the acoustics were perfect, the singing in Latin became another medium, not air or water but sound, surrounding and enveloping us completely. 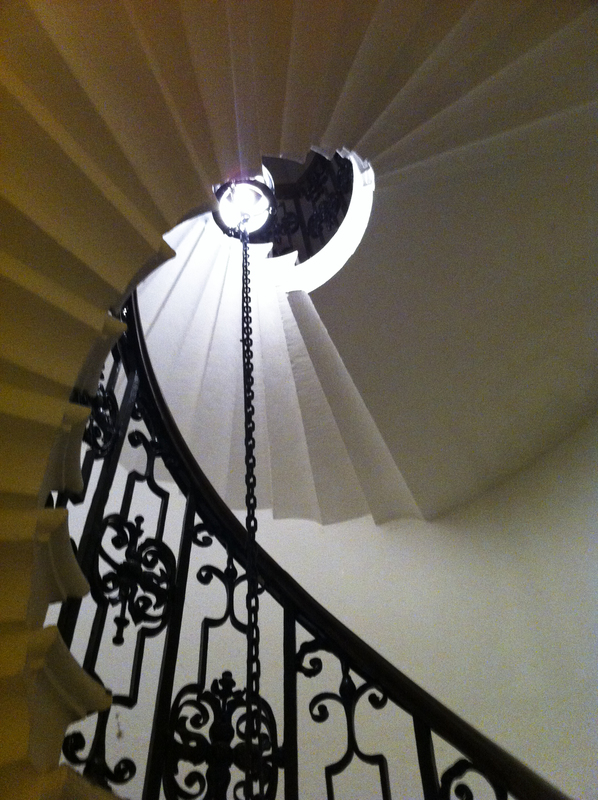 The spiral staircase leading back down to reality was a delightful example of period stone and metal craftsmanship.